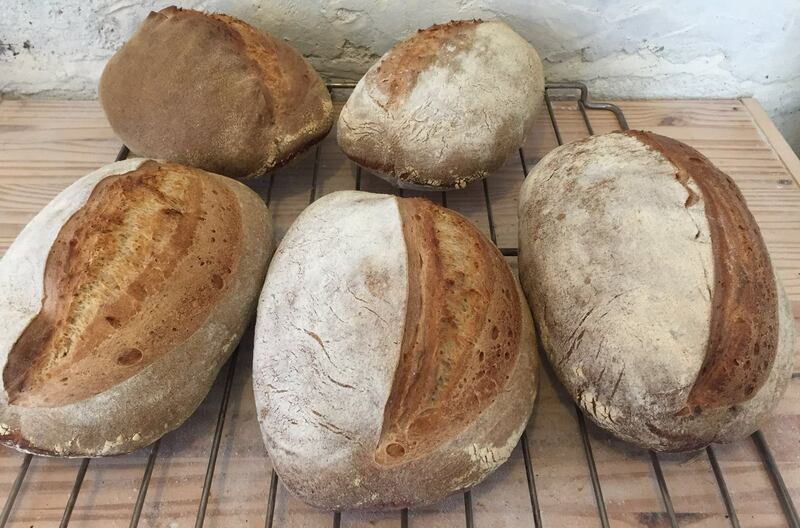 I use organic wheat, wholemeal and white, Rye and spelt. Naturally levant sourdough. Water from own well, unrefined sea salt. Long fermentation. Some of the flour is milled with my own stone ground mill. I source my organic flour mostly in Ireland. I will start to bake on a larger scale as a one man bakery within the next 3 Month after I finished building the bakehouse. I offer local delivery and subscription.